Being brave doesn’t mean that you’re not scared. It means that if you are scared, you do the thing you’re afraid of anyway. Coming out and living openly as a lesbian, gay, bisexual, transgender or supportive straight person is an act of bravery and authenticity. Whether it’s for the first time ever, or for the first time today, coming out may be the most important thing you will do all day. 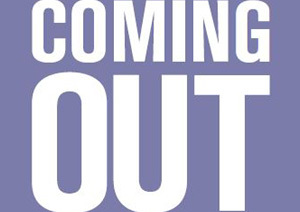 Coming Out Resources at the Institute for Welcoming Resources.